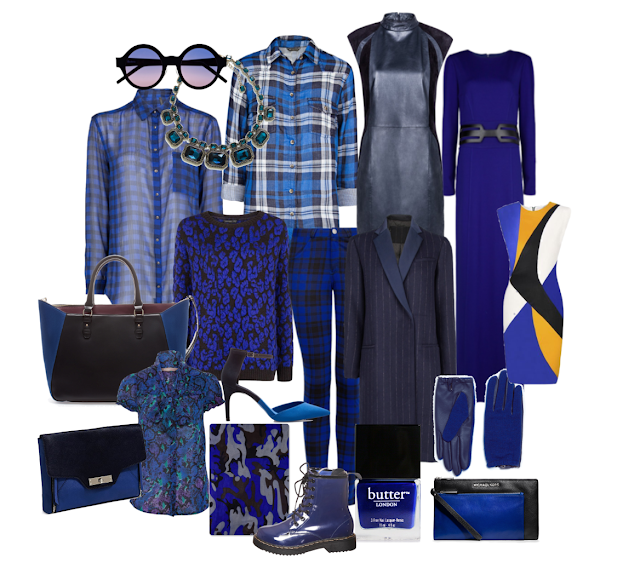 The Fashion Guide Blog : Black & Blue, the perfect pairing. Days are getting darker and colder and the lack of sunshine changes our mood and can even make us feel depressed. We move slower, we look tired and we have to be dragged to work, especially on rainy days. 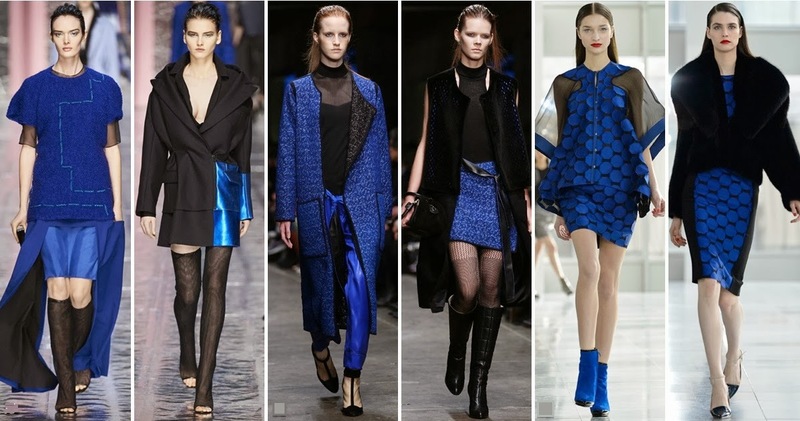 But fashion can spice up our lives and this winter fashion brings us the perfect combination for this: black & blue. 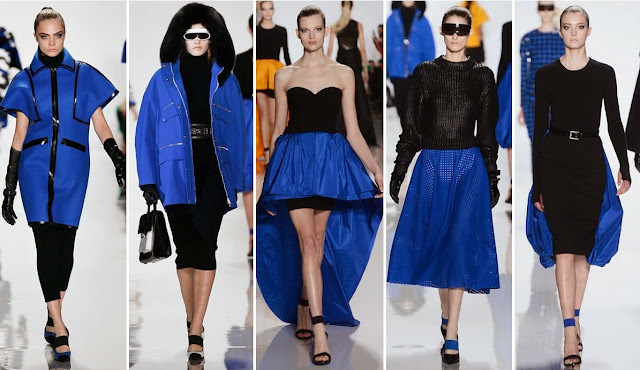 Designers around the globe decided that the colour blue would make the perfect match for black and they've actually managed to pull it off! Winter will be brighter not only with the addition of the colour pink but also with this futuristic combination. Have a look at these pieces, what do you think about this colour combination?